A good sale to Rome. 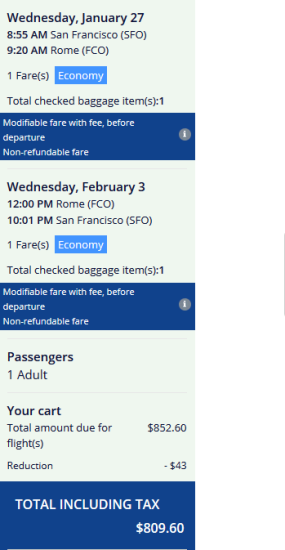 Air France is running a 20% off the base fare promotion to Rome, Paris and Barcelona. 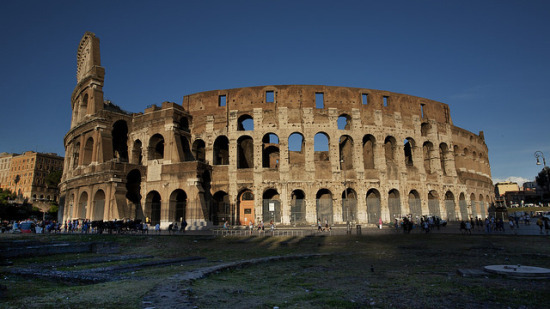 The base fare on this itinerary is $215, so you will save $43 on this trip. The total fare before discount is $850. More information on the promotion on the Air France page. The promo code expires today, December 18th. Support us by using our Air France link to book with dates found on ITA Software Matrix Airfare Search. To receive the discount, enter the code HOLIDAY457 at the bottom of the “Personal Information” page where it says “Do you have a coupon code?”.